2 How to get rid of Whiteheads naturally? It sounds disgusting when we have a Whitehead on the face. Is it right? Even a small white bump will whisk off our beauty and makes you feel troublesome in public. But no worry you can get rid of Whiteheads with some natural ways. Actually, the whiteheads are caused due to germs in the clogged pores. Hence when we prevent that cause, we can successfully clear the whiteheads. Check the complete article to know the remedies for the Whiteheads. Whiteheads, also known to be as closed comedones. They are caused due to the dirt and bacteria that build in the clogged pores. The sebaceous glands in our body produce the sebum. In the puberty stage, due to the hormonal changes, this sebum is produced in high amounts. For all these reasons, the whiteheads will appear. Also, these are caused due to the unclean face, stress, smoking, acne, dandruff, etc. The whiteheads seem to be small and white or yellow colored bumps. These bumps mostly occur around forehead, chin, nose, cheeks. The symptoms of the whitehads are same as the Acne and Blackheads. The only difference between them is whitehads takes less time for removal. So, What to do for Whiteheads Acne? You can effectively cure the whiteheads with the help of some natural home remedies given in this article. Do you have whiteheads and want to clear them? Don’t worry. You cannot go to invest money for the artificial creams. Taking the proper care, healthy food, and some home remedies will completely vanish your White head Pimples. Almost all of us like sugar but no one knows it is the wonderful remedy to get rid of whiteheads. Sugar helps to remove the excess oil and the scrap consists in the clogged pores. It will also detach the dead skin cells and the bacteria on the skin. Mix the honey and sugar in equal proportions to form a creamy consistency. Spread that paste throughout the face especially whiteheads. Massage gently in circular motions with your fingertips. Leave the paste to set on the face for 10 minutes. After, wipe it off using the clean cloth. Later clean the face with the water. To attain the best results, do this trick once for a week. 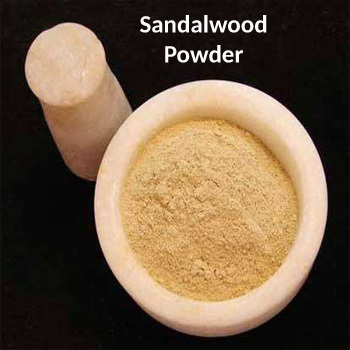 Do you know sandalwood powder works great for the whiteheads treatment? It is the best home remedy for whiteheads. Not only treats the white bumps but also provides a glow to the face. Add the rose water to the sandalwood powder until it appears as the paste. Apply this paste on the face and let it dry. Then, wash the face with the cool water. You can do this remedy either regularly or once a week. 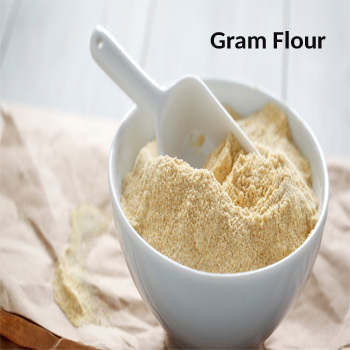 Of course, all of us are using the gram flour to remove the dirt particles and also unwanted hair. In addition to this, also used to clear the whiteheads and enhances the glow. Add the 2 tbsp of gram flour to 1 tbsp of milk to form the texture. Also, add a little amount of turmeric powder to the paste. Spread this texture on the face and left it until it dries completely. Then, exfoliate the skin and wash with cold water. You can also apply the mixture of gram flour with curd or rose water. Daily practice of this home treatment will clear the whiteheads. One of the effective home remedies for whiteheads is rice flour. Exfoliating the skin with the rice powder makes the clogged pores open and distracts the dust & dead cells. So that the whiteheads will disappear completely. The fine grains of the rice has the scope to clear the whiteheads. Daily practice of this trick will prevent the further appearance of the whiteheads. Take the rice powder and honey each of 1 tbsp. Mix those two quantities to form the paste. Apply this mixture to the chin, cheeks, forehead. Wait for 20 minutes and then clean the face with the water. How to treat a whitehead? We can remove the Acne Whitehead by simple home products. Cornstarch and vinegar are the best cure for whiteheads spots. The cornstarch can get rid of the excess oil and sebum produced in our body. The vinegar is used to exfoliate the skin and removes the white head pimples and Acne. Take the cornstarch and vinegar in the 3:1 ratio. Mix the two quantities until it forms the paste. Apply the paste on the whiteheads and the total face. After 20 minutes scrub the face with the cloth. Next, clean the face with the lukewarm water. Do you know you can get rid of whiteheads on the face without the use of any products? Steam treatment is the best way for getting rid of Acne Whiteheads. The steam enhances the skin to open the clogged pores and removes the dirt, bacteria on the face. Hence, when you exfoliate the skin with the steam, the Pimples will go quickly. In fact, the steam also prevents the formation of the Whiteheads Acne further. First, take water in a bowl or pan. Place the pan on the stove until the steam comes. Then off the stove and place the pan in front of you. Lean your head towards the pan by covering a towel on your head to prevent the steam going out. Stay for 15 minutes until the steam sets on your face. Then, clean your face with the towel. Alternatively, dip the towel in a warm water and place it on your face. To get the instant results, follow this treatment for whiteheads in a regular manner. Having the enzymes and proteins, potatoes works great for the whiteheads treatment. The potatoes remove the dirt particles and waste bacteria that causes the Acne on the face. Often best remedy to obtain the glowing skin fast. Cut the potato in the form of slices. Rub the nose, chin, and total face with the slices. In the morning, make a facewash with a gentle cleanser. Of course, the whiteheads is common for all ages; there are many natural tips to prevent pimples. Especially, maintaining the proper skin care is the best way to get rid of whiteheads. So, let’s talk about the best ways for the Acne whiteheads treatment. Daily many waste particles and bacteria will accumulate on our face. They will stimulate in the clogged pores and causes Acne and Whiteheads on the nose, chin, and other parts. Hence washing your face two times a day may open the pores and removes the unwanted particles. Also, reduces the oil and sebum, makes your face clean and fresh. Too much rubbing will cause irritation and result in the popping of a pimple. Avoid the products which are oily and harsh products. So, beware while choosing the cleanser and prevent too much rubbing. Although it’s difficult to keep hands away from the face, you must do if you want to get rid of Whiteheads. Our hands are busy in doing many things. Hence, many germs will accumulate on hands. When we touch with that hands, the germs transfers to our face and causes Whiteheads. So, whenever you wash your face, you must clean your hands first. Also, don’t touch the face frequently. The oil and dandruff in hair lead to whiteheads to appear on nose, chin, hands, shoulders. In fact, the sweat is one of the main reasons for the appearance of Acne Whiteheads. Hence, shampoo your hair two times in a week. Opt for the shampoo that has the fewer chemicals. These home remedies will completely avoid the Whiteheads. Don’t say that these tips don’t shows any effect. Because it takes some time to get rid of the Whiteheads. So, be patient and use these best ways frequently.